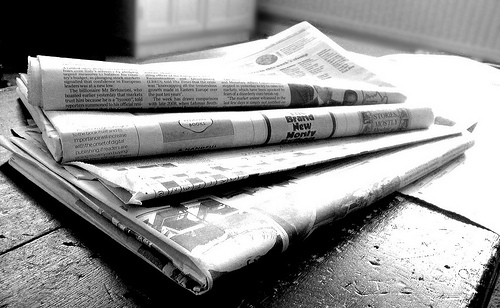 The 2015 project launch by the Yeats Thoor Ballylee Society features in the national press, including the Irish Times and the Sunday Business Post. Here is an article by Lorna Siggins in the Irish Times. A €1 million fundraiser has been launched to re-open WB Yeats’ tower, which has been closed for the past six years.The Nobel Prize-winning poet spent summers with his family in Thoor Ballylee outside Gort in Galway and was inspired to write some of his finest poetry there. But it has been closed to visitors since the ground floor was flooded in 2009 by the nearby river. Now a new €1 million fundraising campaign has been launched to re-open the tower in time for the 150th anniversary of Yeats’ birth in June. Fine Gael senator Fidelma Healy-Eames said the funding was needed to rewire the tower, install a bathroom and hire staff. She said there were also plans to develop a cafe in the adjacent cottage and have a writer-in-residence. “Our goal is that we would achieve the €1 million in two years and then we would have a viable entity that Galway County Council would take over,” she said. Yeats bought the ruined 15th century Anglo-Norman tower in 1916 for £35 and had it refurbished by his friend, the architect William A Scott. He used it as a holiday home for his family during the summer. It inspired two of his key poetry collections, The Tower (1928), and The Winding Stair (1933), which was named after the stairs in the tower. The tower is owned by the state, but the Office of Public Works has said that it does not have the funds to run it as a tourist attraction. 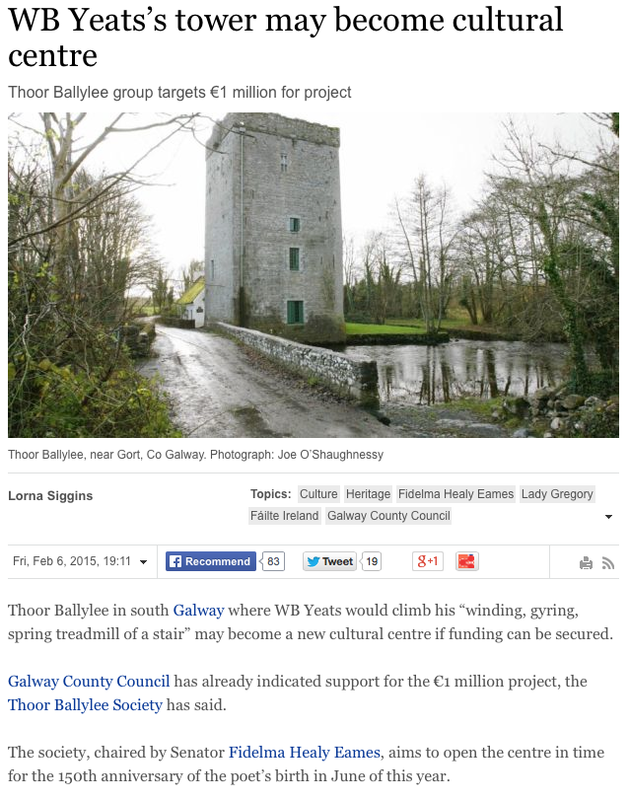 The local community group, the Yeats Thoor Ballylee Society, has been given a licence to fundraise for the reopening of the tower. Due to the risk of flooding, it is planning to leave the first floor of the tower empty and put all facilities on the upper floors. A spokeswoman for Arts Minister Heather Humphreys said she would welcome the re-opening of the tower. “The department has informed Fáilte Ireland that it will provide any guidance or other advice which would help to facilitate the transfer of the monument to a suitable third party and inform its refurbishment so that visitor facilities would once again be available at the site,” she said.